Established in the 1970s by founder Bruce Harding, and now run by his son Jack, Guncast has perfected the art of luxury swimming pool, spa and wellness creation. With an unrivalled reputation for superior design and build, Guncast is a family-run business that adheres to the most rigorous quality standards. From moving floor swimming pools to bespoke wellness suites with indulgent spa features, Guncast’s reputation, elegance and style is reflected in every project. For a thermal experience like no other, Guncast is also proud to partner with the award-winning KLAFS to deliver exceptional and uncompromising steam bath installations. Euphoria Lifestyle is a multiple award winning supplier of Jacuzzi® hot tubs, Aquafit Swim Spas, Aquavia Spa and Swim Spa and Helo sauna and steam rooms. We serve London, Surrey, Sussex and Kent and offer all our customers an outstanding level of support and service, as well as our fantastic range of premium leisure goods. 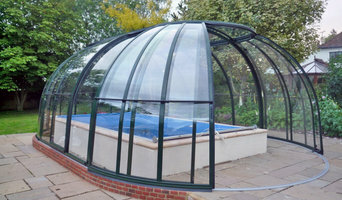 Alukov is one of the world's leading manufacturers of telescopic swimming pool enclosures, spa and patio enclosures. Having developed 30 years of experience in constructing, designing and maintaining swimming pools H2O Swimming Pools have become a leading company across the South East. With a catalogue of decorative swimming pools to choose from you’ll be spoilt for choice, but if you have a unique design in mind then we can consider bespoke projects. UK Swimming Pools Ltd is a well established Swimming Pool company with a proven track record based in Turners Hill, West Sussex. We have an extensive list of clients in Sussex and the Home Counties. 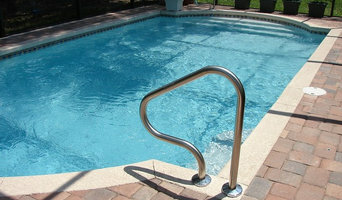 We are specialists in all areas of Swimming Pool design and construction. We do not use outside contractors. With 25 years of experience our reputation means everything to us and we ensure that this is maintained throughout every job we take on. You can rest assured that you are dealing with a very well respected company that has in-depth experience in all aspects of Swimming Pools, Spa’s, Hot-tubs and associated products. Our flexible, practical and friendly approach combined with our attention to detail and excellent service means we maintain a high level of repeat custom. How can we help you with your pool? We are one of Sussex, Kent and Surrey's most established installers of domestic swimming pool and hot tubs and swim spas. Established in 1983, we also have a fully-stocked retail shop at our award winning show centre (Winner - UK Pool & Spa Showcentre 2014 at the U.K. Pool and Spa Awards) and we also offer a full service and maintenance facility to existing pool owners in Surrey and Sussex. Our multi award-winning Horsham show centre, displays two full size Cascade pools an indoor Endless Pool, a Endless Pool SwimSpa with underwater aquatic treadmill, safety covers, automatic pool cleaners and a whole host of other pool and hot tub accessories. Our dedicated hot tub showroom also typically has ten hot tubs on display and our retail store is open six days a week for all your pool water treatment and after care products. As official dealers for Endless Pools, Cascade Pools, Elite and Beachcomber hot tubs as well as Zodiac pool products, we supply and install quality driven pools , hot tubs and accessories for all budgets and tastes. If you live in the Sussex, Surrey and Kent area and want to invest in a home swimming pool for keeping fit, entertaining the children or simply for complete relaxation, the Home Counties team is perfectly placed to offer you an unmatched service for home swimming pools and wellness that will not only suit your lifestyle but most importantly, your budget too. We offer a complete pool and spa service and an unrivalled reputation, built on over 30 years experience in swimming pool design, swimming pool construction and retail support in the specialist field of swimming pools, hot tubs, water leisure and wellness. Why not call in and see some of the many types of swimming pools and hot tubs for yourself at our Horsham, West Sussex - based pool, spa and hot tub showroom? We would love to hear how we can help you realise your dreams. Design, Supply and Installation company specialising in the spa and wellness industry. Compass Ceramic Pools South East are based in Horsham in West Sussex, with a local team that specialises in bespoke swimming pool design, construction and installation across the region. We have installed pools everywhere from Brighton and Worthing to Rye and Forest Row, so you can be sure that you are working with a team that has superb knowledge of the region. Please feel free to visit us at our showroom in Horsham, West Sussex where we have a beautiful example of one of our pools. Of course, we don’t all have the room, money or climate for our own swimming pool, but hot tub prices are usually less than swimming pools' and are a more compact, weather-enduring option, too. With Brighton, East Sussex hot tub suppliers available on Houzz, you can compare prices, photos of hot tub installations, reviews, recommendations and ratings from previous clients. How will Brighton, East Sussex hot tub and swimming pool builders install my pool/hot tub? Do you want your Brighton, East Sussex swimming pool builders or hot tub suppliers to help you with maintenance and repairs? Find swimming pool builders or specialists on Houzz. Narrow your search in the Professionals section of the website to Brighton, East Sussex swimming pool builder or hot tub supplier. You can also look through Brighton, East Sussex photos by style to find a swimming pool installation or hot tub installation you like, then contact the specialist or builder who designed it.